Months ago, we saw the return of the BMW 8 Series Coupe to the grand stage. This comes after a 20-year hiatus from the market due to poor sales and demand. The original BMW 8 Series Coupe made its debut back in 1989 and was discontinued 10 years later. Now it is back — bigger, badder, and better in the form of the BMW M850i xDrive Coupe. It will be the latest addition to BMW’s raving portfolio of luxury vehicles, one that is steeped in the rich heritage of BMW’s pedigree on the race track. The BMW M850i xDrive Coupe will also feature the automaker’s intelligent all-wheel drive system alongside its EfficientLightweight design language. 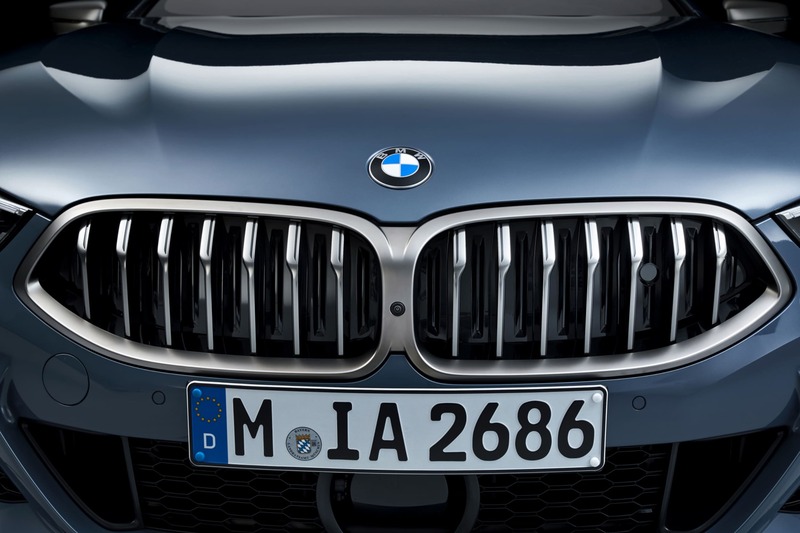 Right off the bat, the iconic BMW hexagonal front grille takes centre stage and is aided by BMW Laserlights at its sides; the slimmest headlights on any BMW model to date. Towards the sides of the car, you’ll notice Air Breathers alongside sleek character lines to give the car a certain level of distinction. This also bodes well in terms of aerodynamics with BMW’s trademark Hofmeister kink being updated to a tightly-angled version. This aids the car in reducing drag when travelling at high speeds with an active air flap control. 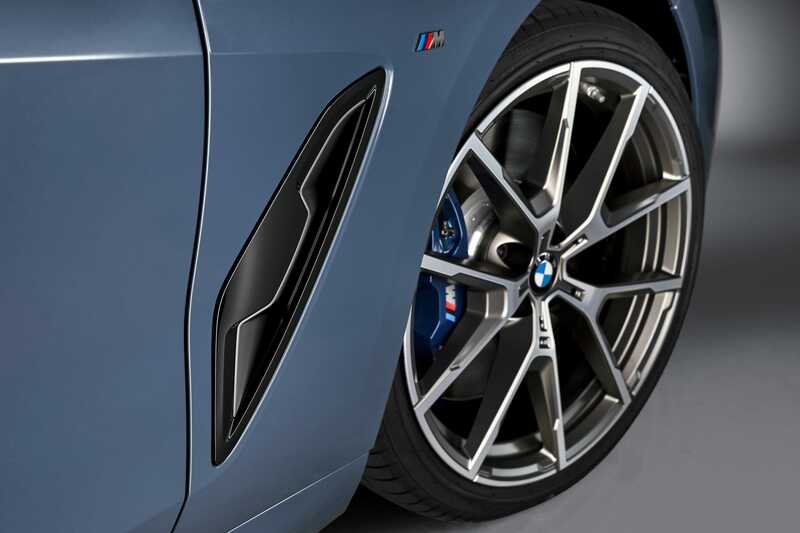 Look below and you’ll notice 19-inch M Sport brakes with blue-painted M callipers, which are housed within the standard 20-inch M light-alloy y-spoke wheels. 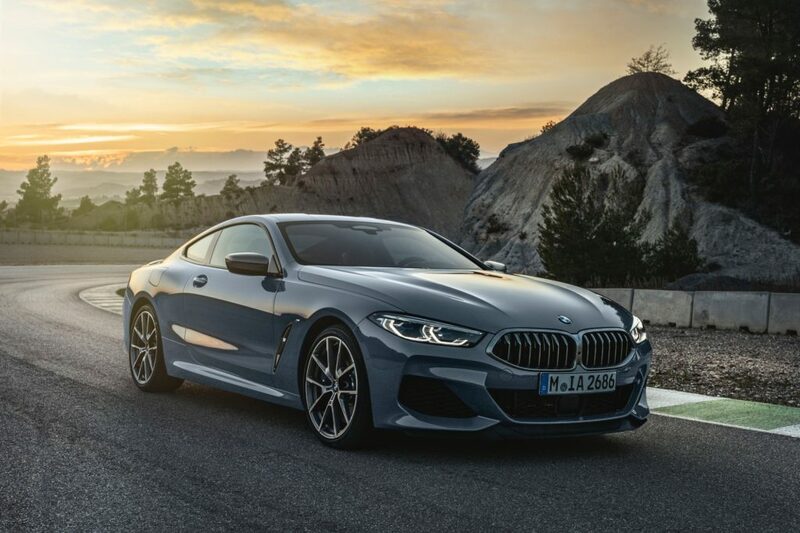 At the core of the BMW M850i xDrive Coupe lies a brand new 4.4-litre eight-cylinder V8 engine. It also features two twin-scroll turbochargers as well as BMW M Performance TwinPower Turbo technology, which generates a top speed of 250kph. In total it has a maximum output of 530hp with 750Nm of torque. 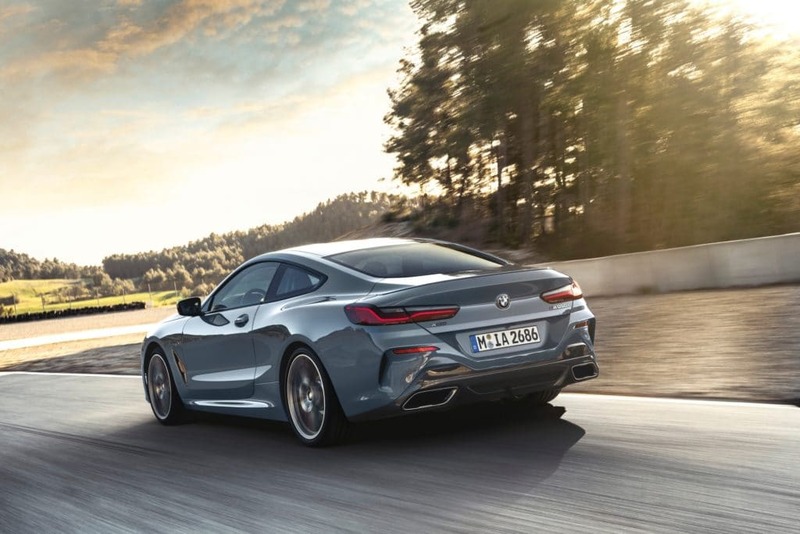 Gear shifting also receives a major upgrade as the BMW M850i xDrive Coupe features the latest-generation 8-speed Steptronic Sports Transmission. It promises a sportier feel in terms of gear shifts while also focusing on its efficiency and smoothness. The interior of the car features the entire BMW M sports package, which includes the M leather steering wheel, an anthracite BMW Individual headliner, and M pedals for good measure. The sports bucket seats are wrapped in Merino leather, which is also the leather of choice for the door shoulders as well as the instrument panel. The BMW Live Cockpit Professional is the new standard for the 8 Series from the driver’s perspective. It’s the latest-generation in cockpit display with a high-res instrument cluster located right behind the steering wheel, aided with a 12.3-inch display panel. Next to it is a 10.25-inch Control Display running on BMW’s new Operating System 7.0. All in all, the BMW Live Cockpit Professional comes with a host of goodies, including Bluetooth and Wi-Fi interfaces as well as two USB ports. 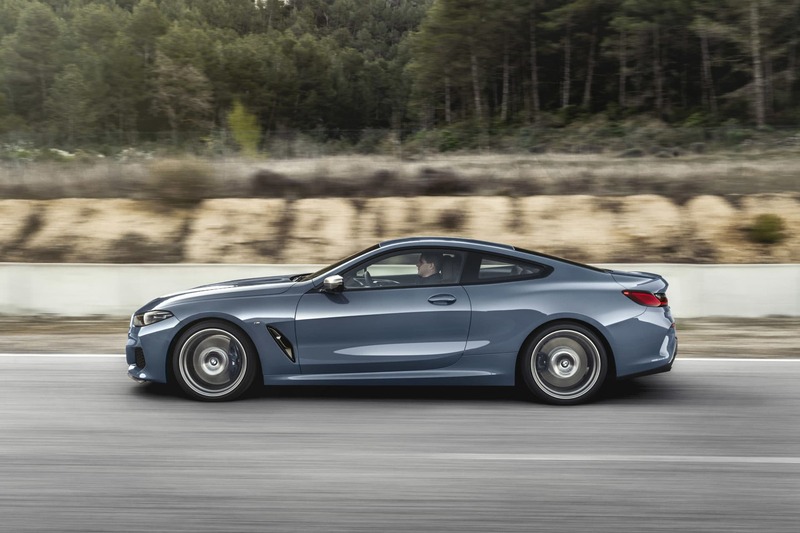 BMW also encourages drivers to speak to its cars as the BMW Intelligent Personal Assistant makes its debut on the BMW M850i xDrive Coupe. It acts like any other personal AI assistant, being able to learn and adapt from the driver’s routines and habits to better serve you. However, the biggest leap in terms of technological innovation would be the BMW Digital Key. It utilises Near Field Communication (NFC) technology, which turns your smartphone into your very own digital key for the BMW M850i xDrive Coupe. Once inside, the engine starts up as the smartphone is placed on the wireless charging tray. This is all done through the BMW Connected app, which the Digital Key can be shared up to five people. The car will be available beginning 15 March 2019 at a starting price of RM1,088,800.00. It also comes in a host of metallic colours like Carbon Black, Black Sapphire, Sonic Speed Blue, Barcelona Blue, Sunset Orange, and Mineral White. To be one of the first to get behind the wheel of the all-new BMW M850i xDrive Coupe, be sure to check out its website.